Previous analysis of the Vietnamese solar energy sector has revealed that commercial and industrial solar PV rooftop applications have great development potential and promise interesting investment opportunities for the private sector. Deploying this solar potential in production sites would help manufacturing industries in Vietnam improve power supply reliability and reduce the burden on national power demand. This would also help the commercial and industrial sectors reduce their significant electricity consumption expenses resulting from high tariffs during peak hours and cross-subsidization policies from large consumers to smaller ones. 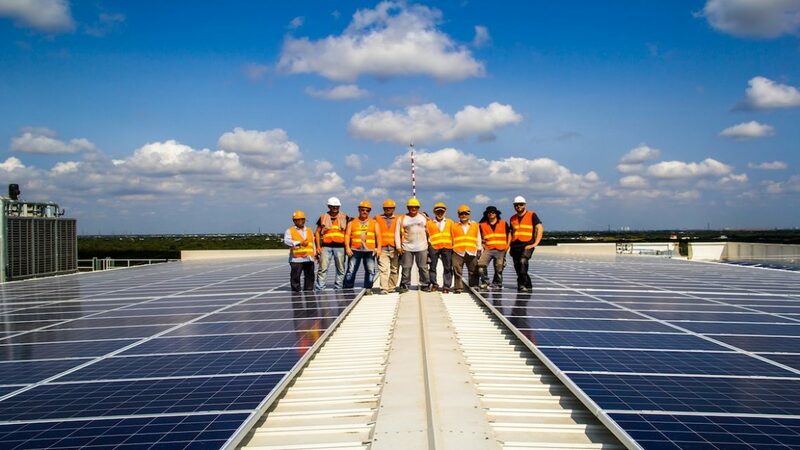 Additionally, developing solar PV in the Vietnamese commercial and industrial sector would significantly contribute to the countries’ Green Growth strategy and related efforts to reduce GHG-emissions in particular. The main objective of this assessment was to identify and demonstrate the potential for rooftop solar PV applications in the commercial and industrial sector of Vietnam and hence to reveal business opportunities for German solar companies in Vietnam. The geographical focus of the project was industrial zones and private factories/commercial operations located in Central and Southern Vietnam, the regions with the highest solar energy potential. The core of the analysis is defined by six case studies, carried out with a pre-feasibility approach. In general, two different business models were applied in the calculations of costs and benefits: self-consumption and net metering, which are both expected to be included in the future solar PV support framework drafted by the Vietnamese Government in 2015/2016. Read more about the project and the results of the study here.